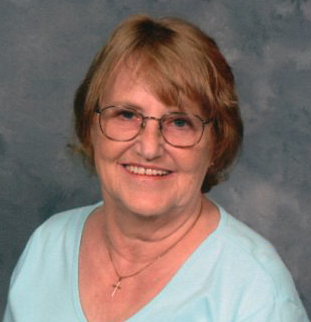 Obituary for Louise Myrtle (Clark) Richardson | Langeland Family Funeral Homes, Inc.
Louise Richardson, 80, of Climax, went to be with the Lord on October 29th, 2018 with her loving family by her side. Louise was born April 19th, 1938 in Traverse City, MI to the late Ernest and Martha (Heinz) Clark. She was united in marriage to the love of her life, Harold Richardson on October 10th, 1959 and together, they raised four beautiful children. Louise loved her family more than anything in the world and she was happiest when they were all together. Getting together with her group of "Knitt-Witts" always put a smile on her face. She loved being in the kitchen, whether it was to cook or bake. Louise enjoyed many years of being involved in a bowling league, gardening every chance she could, and she was never without her dog or cat by her side at home. Louise is survived by her Husband of 59 years, Harold; Children, Tom (Jodi) Richardson, Gregory (Tracie) Richardson, Debrah (Todd) Cousins and Michael (Kayla) Richardson; 11 grandchildren; 5 great- grandchildren; sister, Norma Lamphier; and several nieces and nephews. Louise was preceded in death by a granddaughter, Jessica Lynn Cousins; 4 brothers and 1 sister. The family will receive guests for a visitation from 1:00-2:00pm with a memorial service immediately following on Saturday, November 17th at St. Paul Evangelical Lutheran Church, 349 Capital Ave., NE, Battle Creek, MI 49017. A private committal will be at Prairie Home Cemetery in Climax, MI at a later date. Memorial contributions may be directed to St. Paul Evangelical Lutheran Church in memory of Louise Richardson.